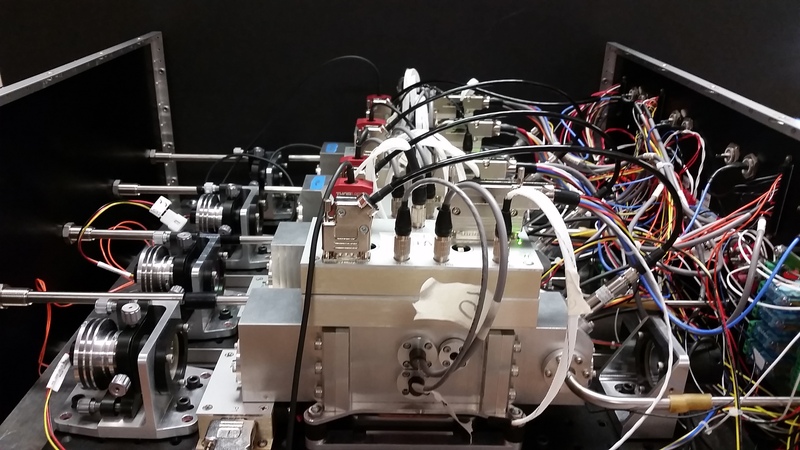 A multi-wavelength photoacoustic spectrometer built by the Dept. of Atmospheric Science Engineering team and the Murphy research group. Observations and observing systems are a primary focus of much of the research that is conducted in Atmospheric Science at UW. Developing new instruments and characterizing and understanding existing instruments is key to being able to use observations effectively in addressing relevant scientific questions. The department maintains laboratory facilities such as the Keck Aerosol Lab (Snider and Murphy) and the Cloud Physics Lab (French) that can be used to generate particles to challenge and calibrate aerosol and cloud probes that operate on mobile facilities or on the King Air Research Aircraft. Research also includes the development of new instruments for detailed in situ measurements of aerosol optical and chemical properties (Murphy) and cloud hydrometeor properties (French) and for broader scale remotely sensed characteristics of clouds and aerosol work within the King Air Research facility focuses on using lidars and radars.